This is The Secret Garden where I had one very special meal while living in Arizona. My two oldest and first friends from growing up until today, Mary and Page came to spend several days in the Valley of the Sun. I remember asking them if they had any thoughts about what to do and they both said, “Please don’t drive around too much!” This is from two people on their first trip to Arizona. “Well, you will get tired of my apartment complex if that is the case!” For those of you who have never been to Arizona. . . you have to use your car to go any and everywhere ! One of the days, we drove to Sedona to visit Tltaquepaque and have lunch. There was some concern about the spiciness of Mexican cuisine so we decided on American in this lovely place and ate in the garden ,of course. We sipped wine, ate elegant salads and veggie burgers enjoying the food, the setting , and most of all the company. It is the last time we were all together and a special memory. I wish we had thought to take a photo but we didn’t. I thought there was one, but have no idea where it is. 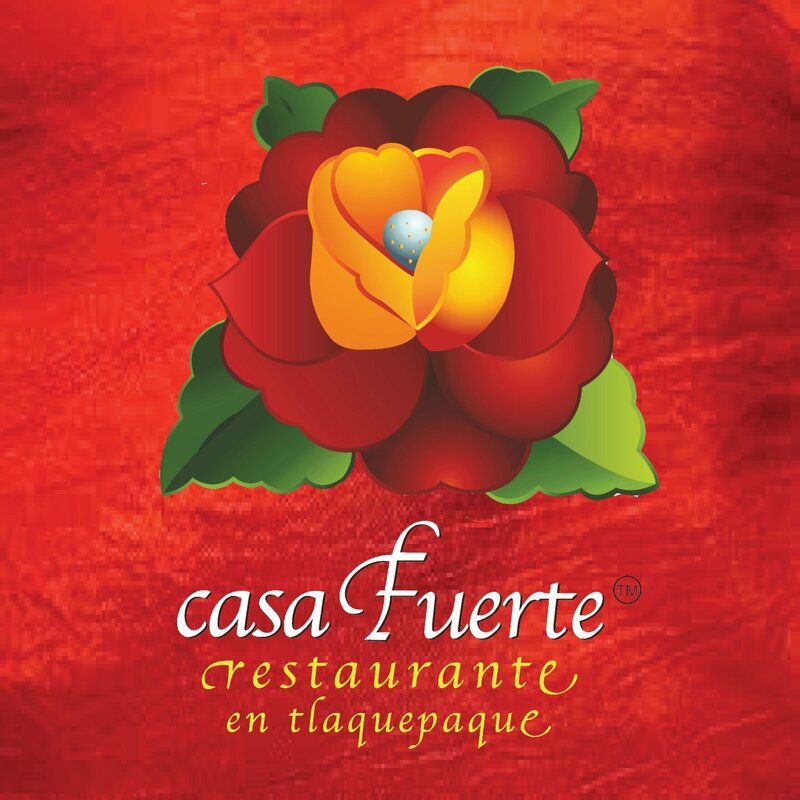 Actually my favorite restaurant in Tlaquepaque on several other visits is Casa Furerte Ristaurante which serves Mexican. I love the flavors, spices , and the freshness of Mexican and even after 7 years in Arizona, I can never get enough. Shopping, walking through the mall and experiencing another culture is hard work and you will work up an appetite. Do plan to eat at one of the several available restaurants. . . . authentic and not a chain in sight. You won’t be disappointed ! 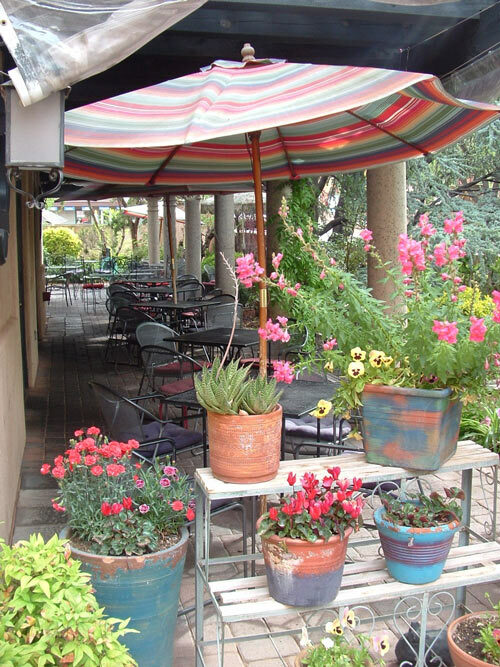 This entry was posted in Architecture, Travel, Uncategorized, USA and tagged American menu, Casa Furerte Ristaurante, Mexican food, reastaurant, Sedona Arizona, The Secret Garden, Tlaquepaque. Bookmark the permalink. I’d really like to visit this place. I certainly hope you can and I am thinking you won’t be disappointed! I emailed a friend your post and we want to plan a trip. Who knows, could happen! That would be a place to top my bucket list if I could still travel, Anne. I think it is safe to say that a car is necessary for travel in all locations outside large cities. Your photos are incredible — much better scenery than the ones my brother took during his visit to AZ. I love Arizona. Even loved the heat but not the direct sunlight! Page smiles on reading this post! It was a most memorable day with superb company!